e-con Systems is proud to announce its 15th anniversary! On this great occasion we take pride in announcing the Anniversary Sale Offer on our products including our best-in-class products. 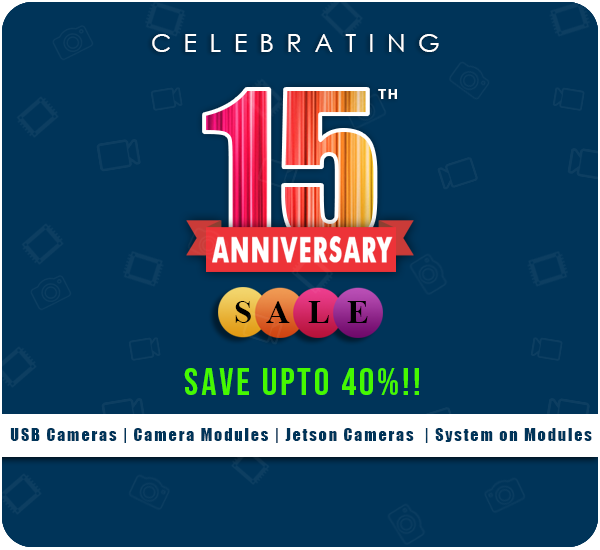 On this 15th Anniversary we invite you to join in the celebration and avail this fabulous anniversary offer Upto 40% off from our webstore.